Mixxx Development Blog: Google Summer of Code 2013 Projects! 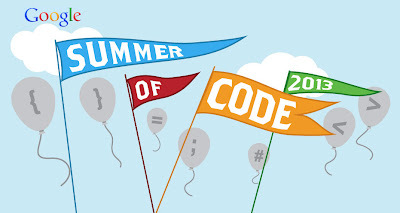 Google Summer of Code 2013 Projects! The Summer of Code is upon us! Google has just announced which students Mixxx has accepted into the Google Summer of Code 2013 program. Students were competing for one of four slots awarded to Mixxx by Google. This year we received a high volume of applications from many skilled students which made the decision-making process very difficult. Wei Xin will build a community-powered controller mapping portal. This will allow Mixxx users to download the latest controller presets for their devices, rate and comment on presets, and share their own presets with the community. All of this will be possible from within Mixxx! Carl Pillot will build a loop recorder for live remixing. This will allow DJs to record samples from their live mix and play them back live, providing them with yet another opportunity to get creative with their performances. Nazar Gerasymchuk will re-design Mixxx's database concurrency model to fix a long-standing issue Mixxx has with locking the GUI for database queries. This should make the Mixxx interface smoother than ever! Last but not least, Chris Johnson-Roberson will build an intelligent track suggestions feature which aims to helps DJs with the most important choice there is in DJing: what to play next. This summer's Google Summer of Code projects will be a huge step forward for Mixxx both in functionality and polish. We can't wait to get these students integrated into the Mixxx community and get their work into a release. The 4 will be mentored by our mentoring team: RJ Ryan, Max Linke, Daniel Schürmann, Owen Williams, Sean Pappalardo, and Albert Santoni. As always, we're very grateful for Google's generosity in enabling this work. Meanwhile, the Mixxx team is working full-speed ahead on Mixxx 1.12, which we hope to release by Christmas 2013. Look for an alpha release in the near future! Is is able to classify audio and might be userfull to find the right music. PLEAS TAKE A LOOK IN MIXXX WEBSITE (http://www.mixxx.org/) IS OFFLINE MAN! WE NEED YOU GUYS! PLEAS FIX THIS! Cuando se publicará Mixxx 1.12? Please make JACK (jack audio connection kit) support for windows! Still waiting and looking forward in Feb 2015.